Getting a playpen for your baby can be one of the best decision you can make. A playpen provides a safe space for them to roam about and play. It will help in your baby’s development and also free up precious minutes for you. Here are the best playpens that you can buy in Singapore today! The Graco PNP Playpen is one of the best choices if you want a compact and portable playpen. Opening or folding up the playpen is a super easy task that can be done within seconds. That is very important as you usually have your hands full carrying your baby. Anything as easy and convenient to use as the Graco Playpen is a godsend. The Graco Playpen comes with everything you need. It has an integrated diaper changing spot, a removable bassinet for your baby to nap in and even comes with a free mattress. Your baby will be well taken care of in this amazing playpen. 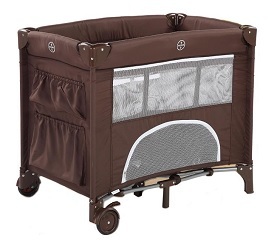 Click here to check out the latest price for the Graco PNP Playpen on Lazada today! If you are looking for a good balance between a spacious interior and compact playpen, check out the Sweeby Co Sleeper Playpen. It is 125 cm in length and 73 cm wide which gives a good amount of space for your baby to roll and crawl around. When it is folded, it can fit into a hand carry bag which is provided. You can fit in easily into any car boot with any problems. It is an excellent spacious and yet portable playpen. 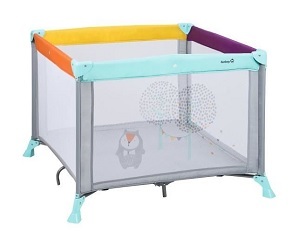 Click here to check the latest price for the Sweeby Co Sleeper Playpen on Lazada! 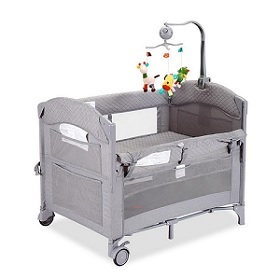 Compact yet functional, the Lucky Baby S8 Playpen is a great option for newborn babies. It is slightly smaller than other playpens which means it becomes even more space-saving and compact. You can carry it around in its folded state very easily. This playpen is suitable for newborn babies and babies of up to 14kg. 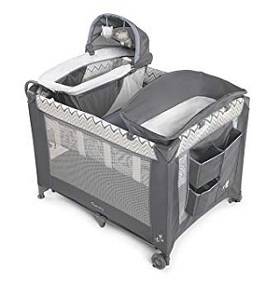 It comes with a bassinet and also changing table, so it is an excellent all-in-one solution for taking care of your precious child. It has wheels with a safety stop which makes it convenient if you want to move it from room to room without folding it up. With mesh walls, you can see your baby through it, and it also means the playpen will be well-ventilated. Overall, if you are looking for a playpen for your newborn baby, this is one to consider for sure. Click here to check the latest price for the Lucky Baby S8 Playpen on Lazada today! The Ingenuity Braden Playard is the perfect all-day companion for your baby. It is an ideal napping spot, playpen and changing area which provides you with everything you and your baby needs. He or she can nap in the DreamCentre which is airy and cooling because of the use of a breathable mesh. With an adjustable changing station, you can change your baby in perfect comfort. There are multiple side pockets for you to store wet wipes, diapers and just about anything else you need. If you don’t mind paying a bit more for quality, the Ingenuity Braden Playard is an excellent option. Click here to check the latest price for the Ingenuity Braden Playard on Lazada now! The Bonbijou S2 Playpen is one of the most value-for-money playpens available in Singapore. It has all the safety features that you need to keep your baby safe whenever he or she is inside. It comes with a changing table, musical attachment, carrying bag and additional storage compartments. The bassinet can be adjusted to 2 different heights as your baby grows bigger. The entire playpen can be your baby’s companion from birth up till a maximum weight of 20kg. If you want the best value for your money, check out the Bonbijou S2 Playpen. 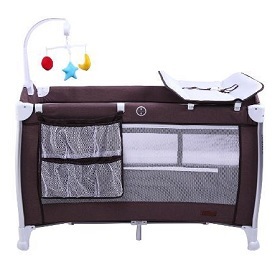 Click here to check the latest price for the Bonbijoi S2 Playpen on Lazada today! Who says playpens can’t look good – look at the stylish Sweeby SWE Foldable Playpen. Besides being good looking, it is a very compact and portable playpen that takes up very little space. With dimensions of 85 by 50 by 73 cm, you can fit this playpen just about anywhere. When folded, it becomes even more compact which makes it super portable – great if you want to bring the playpen around. Don’t worry, the inside of the playpen is big enough for a baby to wander around! If compactness if your chief concern, this Sweeby playpen would be a top choice. Click here to check the latest price for the Sweeby SWE Foldable Playpen on Lazada today! The Safety 1st Circus Playpen is more for playtime rather than naptime. It is incredibly spacious with a 100 cm by 100 cm square area for your child to have all the fun he wants. You can even put two babies inside for them to play together. The all-round mesh allows for maximum air circulation so that your baby won’t feel stuffy even after exerting him or herself. Additionally, it allows you to keep a close eye on him or her regardless of where you are. 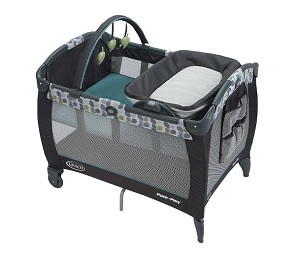 If you are looking for a playpen for your baby to play in, this spacious playpen is fantastic. Click here to check the latest price for the Safety 1st Circus Playpen on Lazada today! Sometimes, the differences between the playpen and playard are not clear because manufacturers use the term interchangeably. However, there are some differences which will help you tell them apart. These differences will also help you to decide whether to get a playpen or a playard. A playpen is smaller and more portable than a playard. If you don’t have a lot of free space at home, a playpen would be more suitable because of its compactness. Also, you can bring it around the house or even outside if you want to. A playard is larger but has more features. You will need a more permanent space for a playard. It is much larger than a regular playpen but with it comes with features such as shelves, bassinets and even changing tables. When can my child start using a playpen? Your child can start using a playpen when he or she starts learning to crawl. The recommended age would be when he or she is around 6 to 7 months old. However, you can also purchase the playpen before that age and leave your baby inside – but with full attention on him or her. 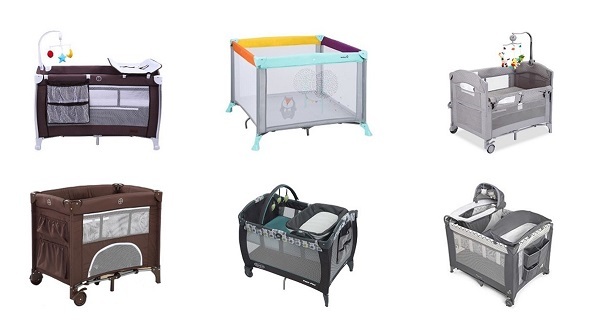 If you are thinking about whether to get a playpen for your baby, here are some of the benefits of playpens that parents rave about. After reading this, you can consider if these benefits can apply to your situation and whether a playpen will be a worthy buy for your family and baby. Every baby should have time to play independently away from their parents. It helps in their growth and development. With a playpen, your baby can play independently in a safe and conducive environment. Inside the playpen, you won’t need to worry about your child running into dangerous situations as it is a safe and controlled environment. It is much safer than leaving your baby crawling around in an unregulated environment where accidents could happen. With a safe space for your baby or child to play in, you can have a few precious minutes to yourself. That precious time can be used for doing some household chores or just taking a few minutes to rest and relax. Having pockets of time to yourself is important even when you are a parent. Stress from parenthood can get to you if you do not learn to let go sometimes. Having a playpen in your home can help you with this. Most of the playpens available in Singapore are relatively portable. You can move it from room to room without much issue. This is good as you can vary the spots where the playpen will be more useful. You don’t have to choose a permanent spot for the playpen and can shift it from your master bedroom to the child’s bedroom and even to the living room. Additionally, some playpens are even portable enough to bring around if you have a car. That could be useful if you are going to another unfamiliar home as the playpen will help your child to acclimatize to the new place. Instead of sleeping on a cot or bed, a playpen can be an excellent alternative for a short nap for your child. 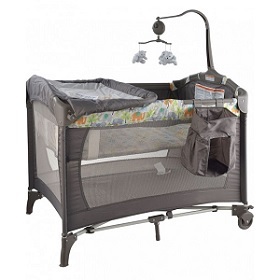 You can put the playpen somewhere that you can keep an eye on so you can have a peace of mind while he or she naps.